UNS N04400 Nickel Alloy Piping Stockists, Nickelvac® 400 Tubes Suppliers, Monel® Alloy 400 Seamless Round Tubing, Nickel Alloy 400 Rectangular Hollow Pipes, Type 400 Monel® Welded Square Pipe, Monel 400 Oval Tubes, 400 Monel Hot Finished Tubes Dealers in India. 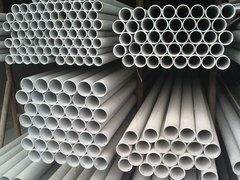 Renine Metalloys is a well-known supplier of Monel Alloy 400 Pipes and Tubes, which is especially suitable for reducing conditions. Monel 400 Tubes is often used for chemical processing equipment, hydrocarbon processing equipment, marine engineering, valves, fittings, fasteners, pumps, shafts, and heat exchangers. Monel 400 Seamless Pipes has excellent corrosion resistance in a wide range of acidic & alkaline environments. 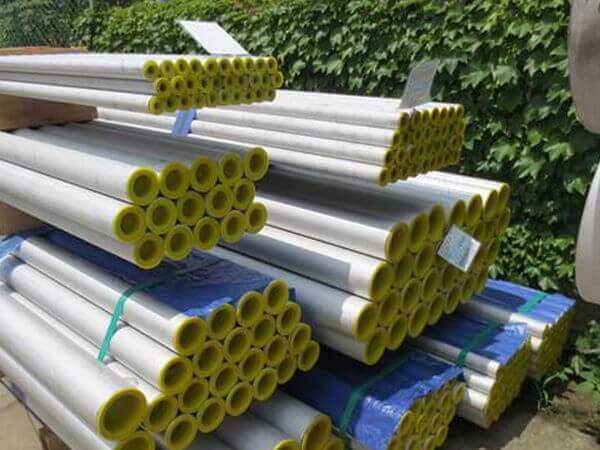 Hardness values of Monel 400 Welded Pipes are suitable for specification purposes provided tensile properties are not also specified. 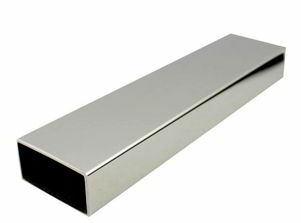 As a result, Monel 400 EFW Pipes is used rarely -- and only when no other metal could do the same job. 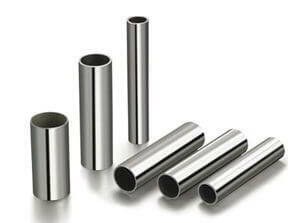 Monel 400 ERW Pipes can be machined at satisfactory rates with machine tools generally employed by industry. 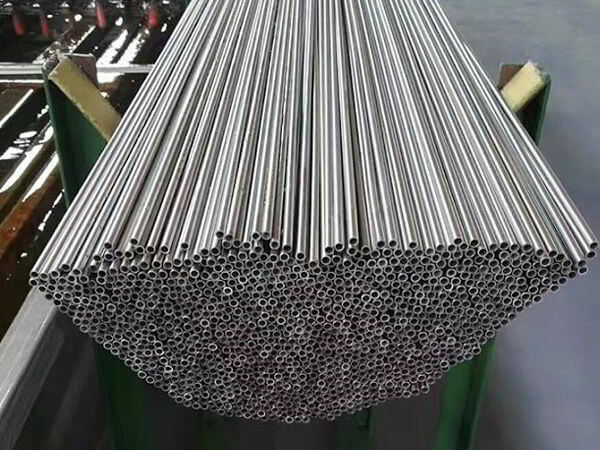 Monel 400 Seamless Tubes may be annealed at 926 Degree C (1700 Degree F). 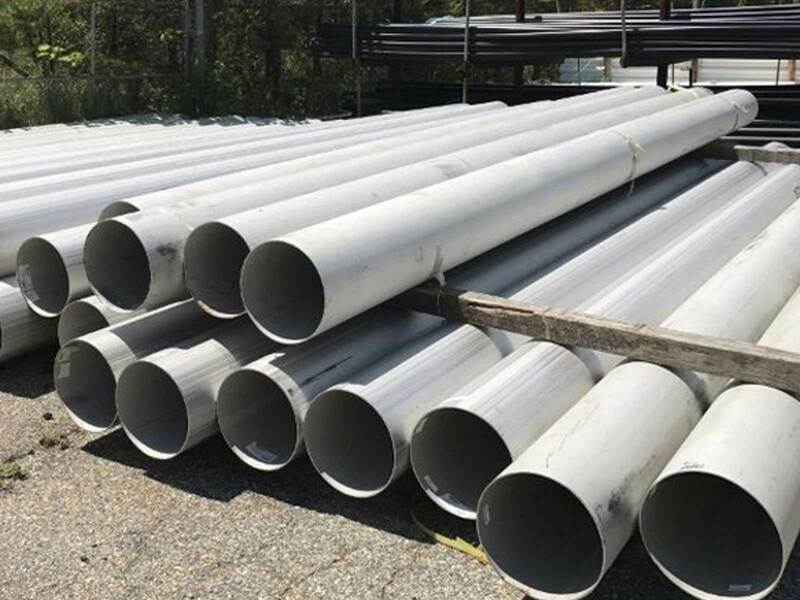 Monel 400 Welded Tubes has many different industrial applications, some of which include transfer piping from oil refinery crude columns. 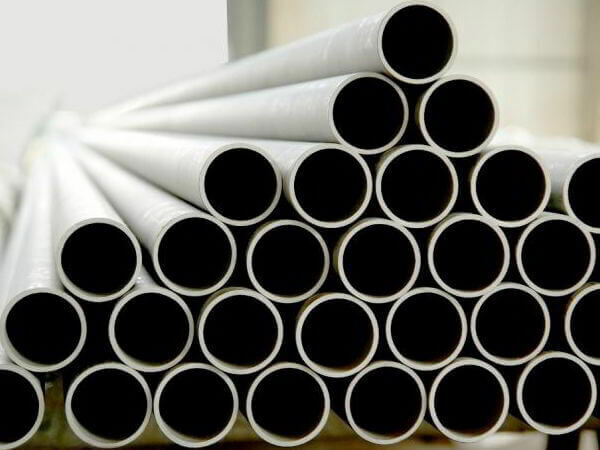 Monel 400 EFW Tubes has high strength and excellent corrosion resistance in a range of media including sea water, alkalis, hydrofluoric acid, and sulfuric acid. Monel 400 ERW Tubes is not difficult to machine, and good industry practices will give good results. Neither preheating, nor post weld heat treatment in Monel 400 Round Pipes are generally required. 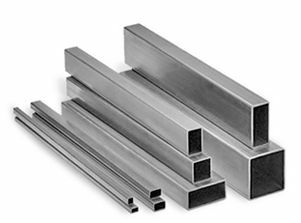 Like with commercially pure Nickel, these Monel 400 Square Tubes is low in strength in the annealed condition, for this reason a variety of tempers are used to achieve higher strength levels. 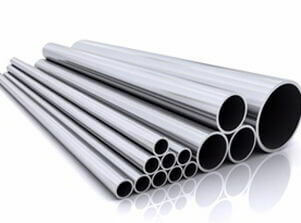 Monel 400 Hollow Pipe & Tubes Traders, Grade 400 Monel® Alloy Heat-Exchanger and Condenser Tubing, Ferrochronin® 400 Piping and Tubing, Monel 400 Hollow Section, 400 Monel® Alloy Hydraulic Tubing Exporters, Monel 400 Instrumentation Pipes, Nickel Alloy 400 Cold Drawn Seamless Pipes, DIN 2.4360 Monel® Hexagonal Pipe Stockyards, Monel Alloy 400 Capillary Piping, Monel 400 Coil Tube Suppliers in Mumbai. 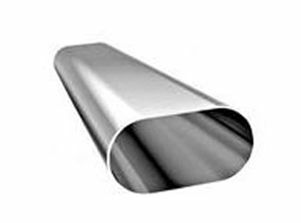 Monel Pipes, Monel® Tubes Suppliers, Monel Alloy Piping, Monel® Tubing, Monel Alloy 400 Seamless Pipes Exporters, ASTM B165 Monel 400 Seamless Piping, ASME SB725 Monel Alloy 400 Heavy wall welded Pipes Stockholders in Charni Road, Monel 400 - UNS N04400 Common Trade Names ( Monel 400®, Nickelvac® 400, Ferrochronin® 400), ASME SB165 Monel® Alloy 400 Seamless Tubing Stockyards at C.P. Tank Road, ASME SB730 Monel 400 Welded Tubes Traders in Maharashtra, ASTM B725 Monel Alloy 400 Welded Pipe, UNS N04400 Monel® Hollow Pipes Stockists in Maharashtra, 400 Monel EFW Tubes, GOST МНЖМц 28-2,5-1,5 Monel® EFW Pipes, DIN 2.4360 Monel big Diameter Pipes Distributors, 400 Nickel Alloy Heavy wall Piping, Monel® Alloy 400 Fabricated Pipe, Monel 400 Hollow Pipes and Tubing Vendors, 400 Monel® Alloy Thin wall Tubes, Monel 400 Hollow Pipes Manufacturers in India, Hot Finished Monel® 400 Pipes, Monel Alloy 400 Seamless Cold Finished Tubes, Monel® Cheap 400 Hollow Section Square Pipes, Monel Alloy 400 Rectangle Hollow Section Pipes, Buy Heat Ex-changer Monel® 400 Tubes, Monel 400 Water Pipes, Monel Alloy 400 Oval Pipe & Tube, Nickel Alloy 400 Coil Tubes, Monel® 400 Capillary Tubing, Monel® Alloy 400 Hexagonal Pipes, Monel® 400 Seamless Mechanical Tubes, Monel 400 Instrumentation Pipes, Low Price Monel Alloy 400 SCH 40 Pipe, Grades 400 Monel® Alloy Schedule 80 Pipes, 400 Monel Tubular Products, 400 Monel® Capillary Pipes and Tubes, Monel Alloy 400 ERW Pipe, Monel 400 Pressure Pipes, High Quality Monel 400 Round Pipe, Monel® Alloy 400 Rectangular Pipes & Tubes, Monel® 400 Square Pipe and Tubing Manufactures in Mumbai India. Atyrau, Secunderabad, Ahvaz, Pune, Bangkok, Gimhae-si, Dallas, Chennai, Jamshedpur, Visakhapatnam, Abu Dhabi, Dammam, Sydney, Navi Mumbai, Ho Chi Minh City, Caracas, London, Coimbatore, Howrah, Cairo, Granada, Aberdeen, Mumbai, Baroda, Santiago, Kolkata, Milan, Muscat, Bogota, Brisbane, Pimpri-Chinchwad, Riyadh, Hyderabad, Ludhiana, Moscow, Calgary, Vung Tau, Rajkot, Vadodara, La Victoria, Singapore, Sharjah, Thane, Gurgaon, Montreal, Colombo, Bhopal, Bengaluru, Petaling Jaya, Madrid, Port-of-Spain, New Delhi, Al Khobar, Kuwait City, Hong Kong, Lahore, Al Jubail, Ernakulam, Houston, Kuala Lumpur, Mexico City, Nagpur, Geoje-si, Australia, Kanpur, Haryana, Rio de Janeiro, Busan, Nashik, Thiruvananthapuram, Surat, Perth, Lagos, Manama, Toronto, Jeddah, Hanoi, Dubai, Los Angeles, Chandigarh, Tehran, Jaipur, Doha, New York, Seoul, Courbevoie, Turkey, Indore, Noida, Istanbul, Jakarta, Algiers, Ulsan, Edmonton, Ranchi, Faridabad, Ahmedabad, Karachi, Chiyoda. Macau, Philippines, Nigeria, Kuwait, Venezuela, Argentina, Malaysia, Bhutan, Ireland, Slovakia, Estonia, Oman, Bolivia, Hungary, South Korea, Chile, Mexico, Egypt, Bangladesh, Singapore, Brazil, Ukraine, Netherlands, Afghanistan, France, China, Colombia, Japan, Jordan, Nepal, Serbia, Sri Lanka, United Kingdom, Turkey, Ghana, Gambia, United States, Namibia, Switzerland, Bulgaria, Poland, Algeria, United Arab Emirates, India, Gabon, cyprus, Tibet, Croatia, Yemen, Thailand, South Africa, Mexico, Azerbaijan, Belarus, Lebanon, Bahrain, Finland, Iran, Saudi Arabia, Israel, Lithuania, Zimbabwe, mexico, srilanka, thailand, malaysia, Norway, Kazakhstan, Peru, Puerto Rico, Sweden, Portugal, Taiwan, Belgium, Chile, Romania, Morocco, brazil, Czech Republic, Denmark, Austria, Australia, Nigeria, Germany, Kenya, Canada, Indonesia, Spain, Trinidad & Tobago,Tunisia, Greece, Italy, Vietnam, Costa Rica, New Zealand, Mongolia, Iran, Qatar, Russia, Poland, Ecuador, Hong Kong, Libya.